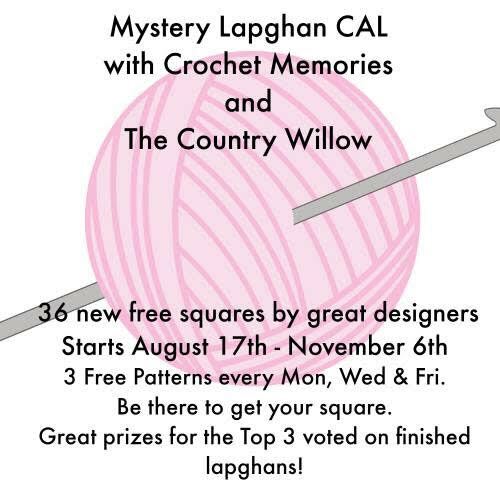 I am excited to be participating in a new Mystery Lapghan CAL with Crochet Memories and The Country Willow, in which 36 designers will offer a free 6″ afghan square over a period of 3 months (on second thought some are doing more than one so maybe not 36 but a bunch.) 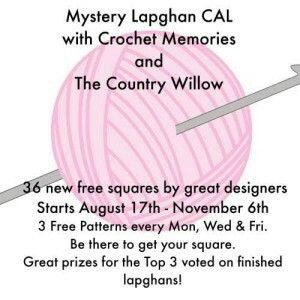 My square will be coming up September 14, but go now to see more information and the first square of the CAL by Cylinda Mathews at crochetmemories.com. 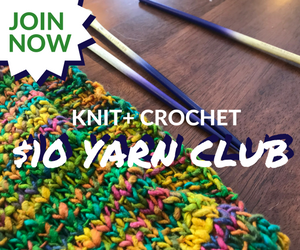 I’m planning to participate with this CAL – three 6″ squares a week shouldn’t be too bad! 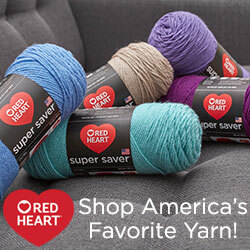 I am going to choose my yarn now – always the fun part. 🙂 How about you?